This is a cake that feeds a lot of people but is a change from a 9×13 pan. 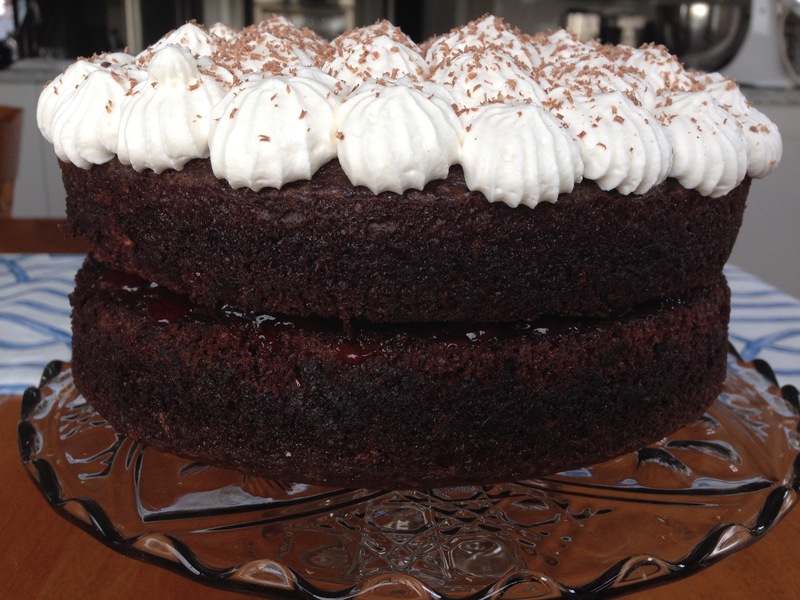 It is a dense, chocolate cake with cherry vodka, sour cherry jam and whipped cream. Sometimes I use sweet black cherries when they are in season, but the sour ones give a nice contrast to the cake. Sift the dry ingredients through a sieve. Mix the wet ingredients together and then add them to the wet. Beat to combine. Grease two 9″ round cake pans and line the bottom with parchment paper. Divide batter between the two pans. Bake at 350 degrees F for 30 minutes. Cool and remove from pan. 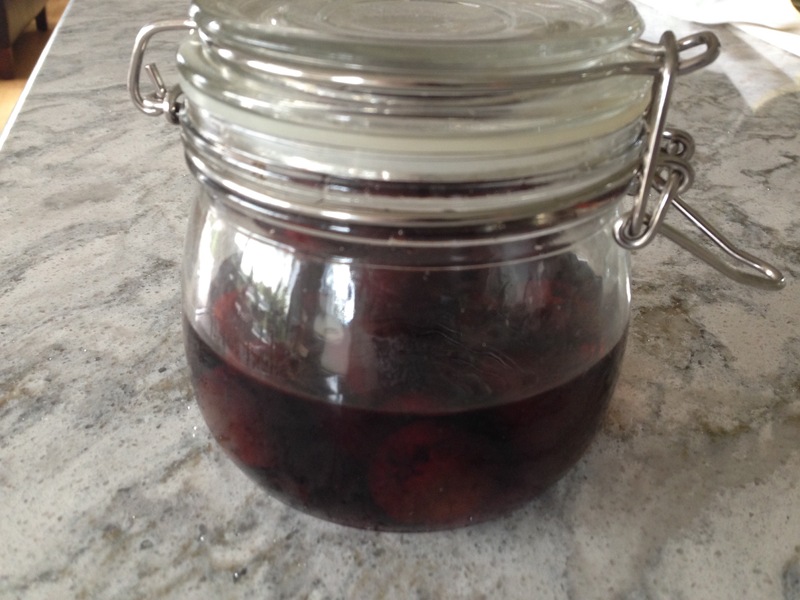 I made cherry vodka last summer (but you could use Kirsch) by soaking black cherries in vodka for a year. The result is very tasty indeed. I brushed a good amount of this over one layer of the cake, topped it with cherry jelly and the second layer of cake. Pipe some whipped cream over the top and shave some chocolate over it. 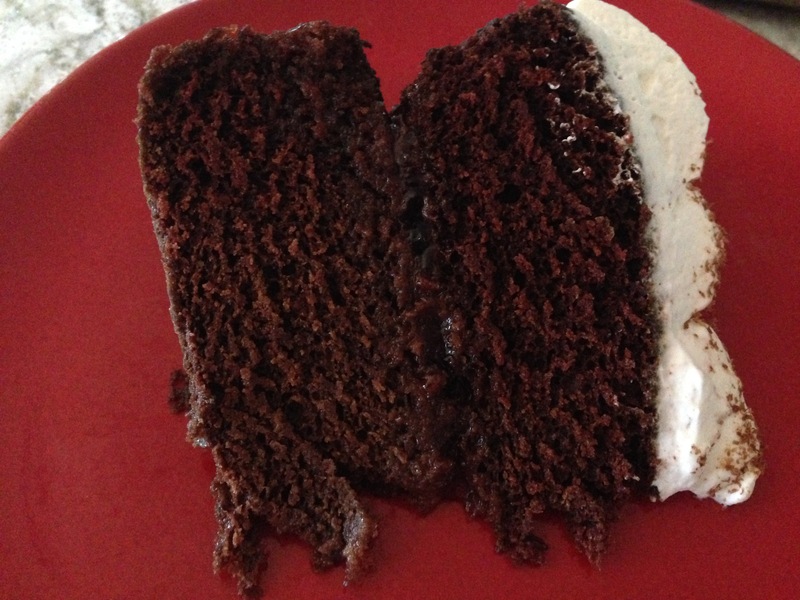 Similar to a black forest cake, but without all the extra layers.